Prom was great. I had a long dress, a shawl and 2 men one on each arm a stretched limo and friends … i was a lucky girl. The night was great and i danced for an hour until the atmosphere changed…. I started to feel dizzy and hot and I went and stood outside the hall by the office door…. The disco was too much and i had nearly been captured by the beast again. My prom night ruined for me. I dozed on the big comfy chairs for an hour in my ball gown determined not to go home or to worry mum by calling her out. I woke and went back to the party. When the prom finished a group of us were due to go to an after party…. We climbed over the school gates as they were closed at the end of the school we wanted to leave and i struggled back to a friends house. Here we stayed up for a while (everyone else drinking, me not as i knew it wouldn’t end well) and had a laugh. I still felt i had a good eve. I went home at 1 am and didn’t wake up till11 the next morning. 6th form was difficult. My work was suffering as i was still having problems in class due to the absence seizures… if i concentrated at the board for too long i would have a grand mall as the flickering light was send me into oblivion! I ended 6th form with my languages (english, french and the spanish id been doing at night school) and my sciences. I dropped history as i just couldn’t fill my brain with all the dates anymore. sad but resigned to the fact i would go back to night school and do it there. The second year i went to my first class. As i walked in the new drama teacher who was also head of year pulled me over. She said “now you don’t have any seizures in my class, I don’t have time for it” I was astonished. what was she on about… how ? what? i was stunned. I took a deep breath and said in no certain terms “if i could turn a switch mrs James, don’t you think i would choose not to have these at all?, She looked. I turned and walked out… i didn’t look back and never went back to school again. I felt discusted and betrayed but it may have been the best thing of my life to happen. As soon as i left i started to panic. Tears streamed down my face as i walked home ( i wasn’t supoeesto be out on my own but i needed to breathe and i knew mum was at work) it was a long way and took 3 hours but by th time i got home mum was there and i had cleared my mind. I told her what happened and she freaked. She wanted to go to the school immediately but i stopped her and said i would work it out for myself. That eve i searched the web and ploughed the job sites. Id filled in so many forms i couldn’t remember what for. but i felt relaxed that night as i went to bed. knowing i had a new life to start seemed quite calming. Despite not having a clue where that new life would take me, or when it would start. oh no i thought its the school with more issues! yes i said… reservedly. She continued to speak but i couldn’t tell you now what she said. at the end of the call she said she would call me back. I put the phone down and stood back in amazement. mum came in to see who it was…. Ive just got a job i said. i sat down with mum and told her about the phone call……. 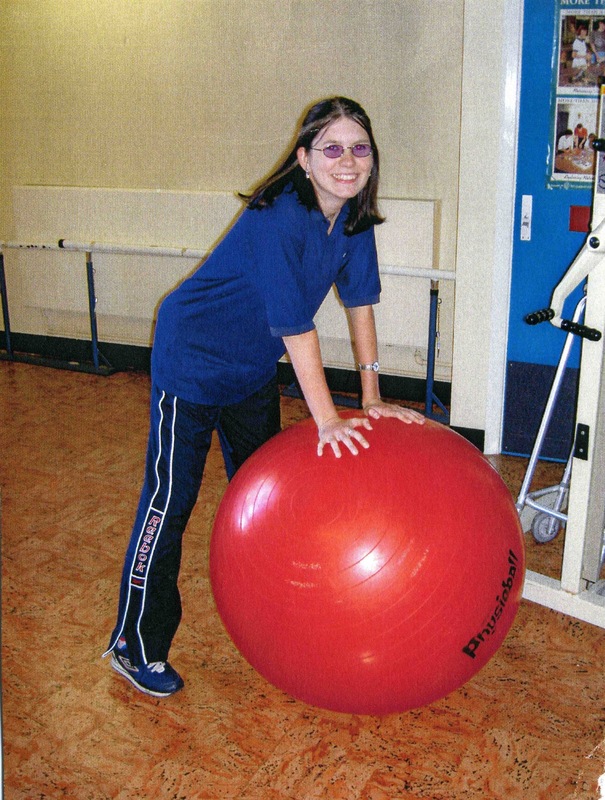 i had just been enrolled onto a NHS apprenticeship in Physiotherapy. I would go to college 2 days a week while working at the local hospital. WOW i was happy. I didn’t know much about physiotherapy so i googled it and found the basics… looks good i though plus i will probably get fit at the same time! my first day was scary. i went to canterbury college and was enrolled. i filled out forms showed certificates and yes got questioned about my epilepsy which at the moment was behaving itself a little better… i’d not had a seizure in a month. i had a occupational health assessment and it was cleared as long as i didn’t work nights. this was fine as nights were not required at a cottage hospital. I was into the job a whole year and id only had seizures while asleep. the medication was great. I applied for my driving licence and when it came through the post it was like my life had changed again. Freedom was on the horizon. For the love of a country! I had been given another medication the name of which i couldn’t remember but i now had that and the carbamazepine to take morning and night. The last year (since becoming a woman properly!) id been getting headaches… these were headaches like no other and were excruciating. Id bang my head against the pillow crying as the pain was so bad. Mum couldn’t understand why I didn’t lay down and still but the pain was so so bad i couldn’t i felt i had to move. Nothing helped the pain. I was given paracetamol, Ibuprofen and then another painkiller from the dr. This helped a little but no were near enough so i could function. I was then given a stronger medication. I was at he end of a period and I had my headache come on…. i took the tablets and it went enough so i could function but the pain was still bad. I still went to school but id changed. Again my schoolwork sufered. 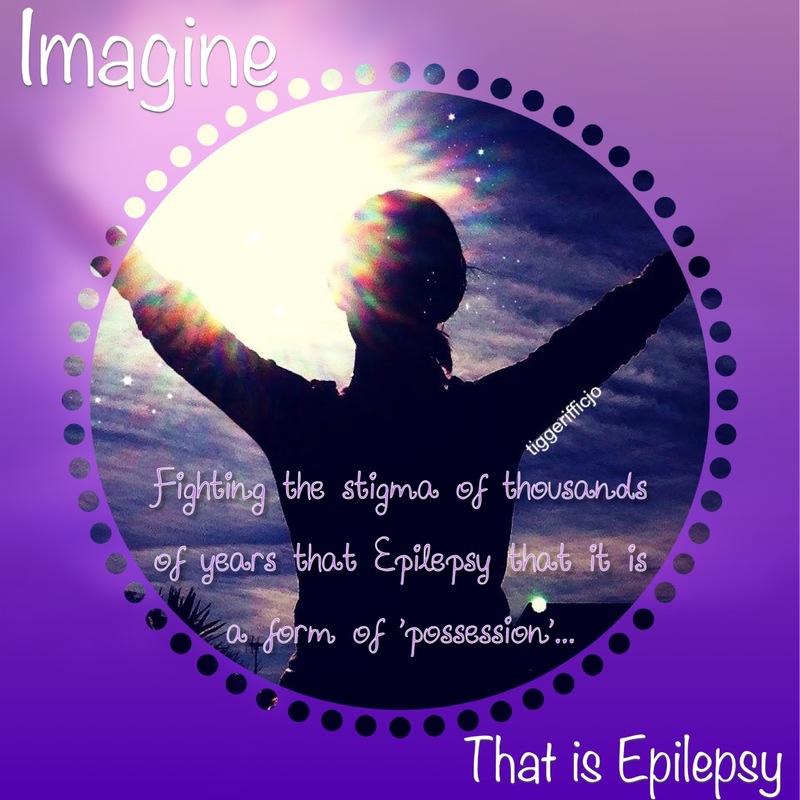 It was heartbreaking and i felt like a ticking time bomb with my seizures as they were still unpredictable. Despite this i got made prefect and completed my life long dream of going to disneyland paris that year. It was only a day trip but it was enough for me. My cousins took me out a lot so i thought nothing of a sleep over at theirs. At 6am i was woken up and we got into the car and they drove. I will never forget when we got to the channel tunnel and my cousin turned to me and asked where we were going? i said France? yes where to? i don’t know…….. long pause. Oh my word i have never been so happy! the day was perfect. I was exhausted but i came back with a dream to live in france not only had i been disney’d but i had fallen in love with a country. Id always liked french and id been out with the school before but in a month time I was due to go to a exhibition to represent the school in a capital of european culture as part of a uk and european pledge to become the next capital of european culture! it was a great weekend but the seizures took their toll. The french teacher was great and we had become quite close before hand as id often go and watch french tv in her class room if i felt too tired to stand in the playground for luch break. Most of my french was learnt this way so thank you to the french tv channels ! finally the medication started to work a little and i had a few months grace. Only to be hit again. 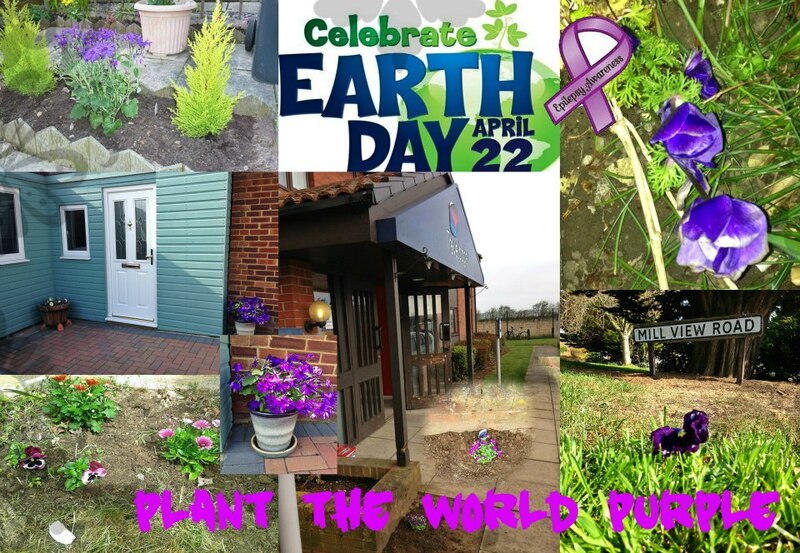 A pattern started to emerge with my headaches and period and it all got too much at one point when i was rushed to hospital after non stop seizures. I was in for 3 days while i was pumped full of drugs and then sent back into the open world again. Age 14 and in the end of year 9 i started to get some strange feelings. I put them down to growing up and womanly changes. (we had all had the talk). Somehow i thought these feelings felt familiar yet i wasn’t sure how so put them to the back of my mind and continued enjoying school, karate, and dancing. We often had presentations and talks in school assembly sometimes science, or music or drama. any type you could waste 15 minutes of assembly with. I had been paying more attention to music class in the last 2 years. Last year with a lot of help from my class music teacher I had persuaded mum to buy me a clarinet. I loved this clarinet it was old, second hand and all the writing has rubbed off but i loved it and played for hours. I’d even met a boy in the school library who took me to a band practice. I couldn’t afford proper music lessons so i sat in front the mirror with my book. I then went to the band practice and sat next to the first persition and watched his fingers and the dots on the page and followed. When he stopped i took note of what the marking was and when he went quicker or slower the same thing. This is how i learnt, It worked. This assembly myself and a few other students were playing a tune for assembly. I had these funny feeling but put them down to nerves as despite all the academic side i hated being centre of attention or on stage. I hated speaking in public or in groups and was pretty much a solo behind the scenes type a gal and thats how i liked it….. the clarinet changed part of that and i came out from behind the curtain. We played beautifully and took our bow and then i followed the other students off the stage. As i got near the steps i felt ill. I couldn’t describe the feeling but i didn’t feel good. I took a step down the stage steps to join my tutor group in the ranks and it all went blank. As a kid i had many embarrassing times…. everyone does. However as i woke blurry eyes with my head of year and tutor next to me, hearing the rest of the school file out of the hall i was mortified. I’d fainted…. or so i thought. the school nurse was also there and she took me back to the office. she asked me questions and asked me about my epilepsy history. 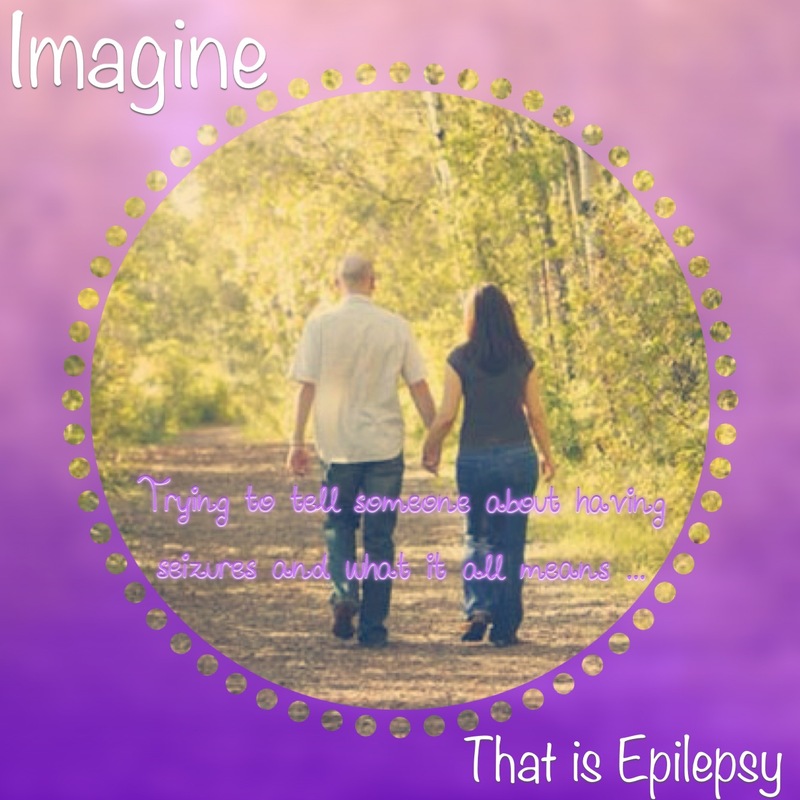 When my mum arrived she was told that they think i had a seizure. The roller coaster took a loop the loop and headed into oblivion! I was taken home and i rested…. i was tired. The next day i awoke on the floor. What, how, hu ! were the questions running through my brain at lightning speed. what is happening to me. 3 days later Mum took me to the drs as id had 3 more episodes and from what mum remembered of my childhood they were fits. the dr put my straight back onto carbamazepine, the school was informed and i had an appointment at the hospital. In two days my life had gone from exciting, fun filled and independent to crazy, end of world (in teenage eyes), embarrassing and not wanting to go to school which I loved and normally craved. I was back on the roller coaster of epilepsy. sorry couldn’t resist the post title! It seemed that the next few years flew by. school life was back on track and social life too. Yes there were restrictions but I still had fun and my childhood was pretty good really! Family life was difficult at times but who’s wasn’t right !So I went throughout the next two years pretty steadily with regular hospital check ups and changes to medication level as I grew. When I was 9 I was taken ill again. It had happened over a few weeks but I ended up again in hospital but this time not for too long.I had appointments to go back for tests which i did. The tests were quite nasty and now at age 9 i had learnt that hospital were not good nice places to be as i always came out with holes in me somewhere and hurting for the things they did. I did always had some soft disney toy or other that was great for distraction. I didn’t care that most kids thought 9 was too old for toys such as disney and soft bears… i embraced the lot disney and sparkles all the way. There were lots of tests that they done on this round of my MOT. The one i remember vividy was one that provoked my seizures. It was an E.E.G but they made me stop all my medication. Then when i was all hooked up they flashed a light in my eyes…. i can’t remember anything beyond that point !Becoming older I understood more and more which was not necessarily a good thing! When the results of the tests came back it was revealed that my epilepsy was generalised but originated from the temporal lobe. There were lots of medication available at that point so i was put on some different pills and life carried on.After 4 weeks i was the liveliest i’d been in years… we didn’t realise it at the time but the previous medications had obviously made me more tired than i should have been. I was happy real happy. I had always loved dancing and i’d joined the local dance school at 6, but i was now dancing better and enjoying it more. 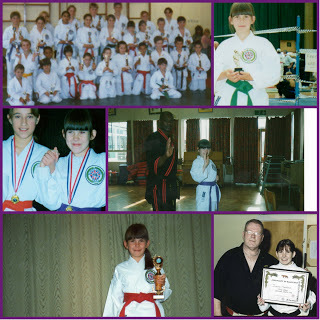 Age 10 i also joined the local karate class. Here i met lots of new friends and thrived at being a little karate kid. I zoomed through the first grades and was taken to all the local competitions. age 11 i went to regionals and won! the next 6 months were run up for the semi finals. I loved the lot and had a fab day despite getting up at 4 am! i came 2nd in the combat sparing and 1st in kata. Mum and my instructor could not have been happier as we were not expecting it after getting up so early and the long journey ! My next appointment at the hospital i proudly put on dr terri’s desk my trophy and medal with a photo of me and the rest of the team. Dr terri replaced the old regional phot with the new semi final photo and was also thrilled. No medication change was needed and once again life continued on a upward roller coaster.I was full throttle in with my karate and was loving every minute of it… I was going to competitions every week and even went to a big competition in London, this one didn’t go too well as i was 3 times smaller than my opponent and ended up in the ambulance corner where i got patched up ready to do my next competition entry: kata. Despite the cuts and bruises from the fighting i came 3rd in the kata class so it was worth going especially as it was such a huge competition.My love at the moment was dancing. id only recently started competing but was doing ok. In fact I had a dancing partner, he was 2 years older than me but we were a good match. We both done really well with our routine and thrived in rock and roll. Competed in many competitions School was also great. Apart from seizures when I was poorly with cold, flu or had an infection. Anyway school went well and from 5th year on I had no more seizures… the new medication had worked ! I was delighted as were my family. I got to do things I hadn’t in a while and I was slowly weaned off the tablets that I had been taking for over 6 years!. Life was great, and I going off with my friends on our own…I was getting a bit of independence. A happy ending?